Rummy Doesn't Want You To Come and Seed Protect Your Precious Bodily Fluids, instead. 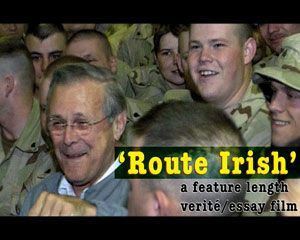 'Route Irish', a feature length verité/essay film on the campaign(s) against Irish facilitation of the US/UK Invasion of Iraq, is now available for bittorrent download. The torrent file is available for download at this torrent link: Route.Irish.DivX.avi.torrent. Please seed the torrent as much as you can for as long as you can. You can find detailed information about the film and some high resolution screenshots from it here. This is the first time a feature length Irish documentary has been distributed primarily through P2P technology and it needs your help for it to work out. You can also help the film on its way by spreading the word that it is available for downloading beyond the Indymedia Ireland community. The file fits neatly onto a CDR. Burn it and spread it around that way too. Continue to the rest of the article for assistance if you are unfamiliar with the use of bittorrent and need some help to download. It's a cliché that the media was the first casualty of the Iraqi occupation, but few reacted like Dahr Jamail. Made brazen by his travels off the beaten path between monotonous jobs, he packed a cheap digital camera along with a laptop and entered Iraq to go beyond the Green Zone and embedded reporting. The dispatches he circulated online, first through emails and then through his site, quickly grew into an essential resource for those in the west desperate for an alternative take on the war on terror. 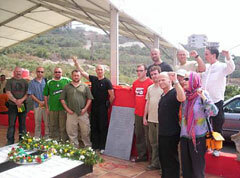 They remain today a vital channel for struggling voices inside occupied Iraq. 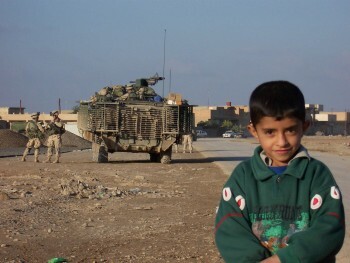 A collection of Dahr's work called Beyond the Green Zone: Dispatches From an Unembedded Journalist in Occupied Iraq is coming out this month on Haymarket Books, prior to its release he sat down with Indymedia Ireland to talk about his journalism and the situation in Iraq. 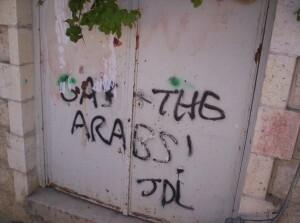 The following is not intended to be an attempt at a comprehensive analysis of the current situation in the Occupied Territories of Palestine. 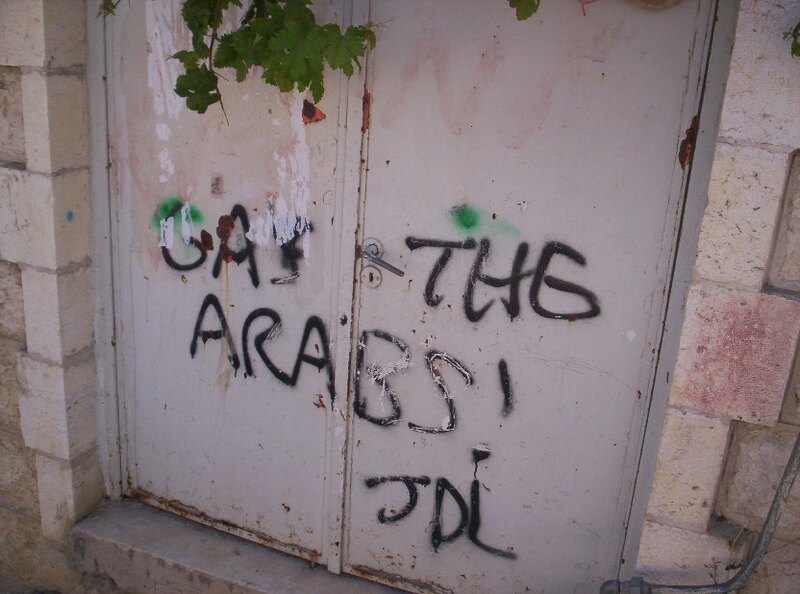 Instead, it is a reflection on the past few weeks I have spent with the International Solidarity Movement in the city of Hebron and its environs and what brought me here in the first place. It is completely subjective and deliberately intended to be so. It is merely a personal reflection, and therefore should not be taken as representative of the views of the ISM. I am a firm believer that the shortest distance between a person and the truth is a story. Many stories I have heard and read about regarding resistance to occupation, capitalism, imperialism have formed my sense of what is right and wrong - and on which side of the fence I am on. So if you manage to read through this lengthy piece of writing, I hope the stories of resistance I have encountered over the past few weeks will inspire you also to keep on fighting the powers that be, wherever and whenever you encounter them. The current Iranian regime, in power in the so-called "Islamic Republic of Iran" since the 1979 revolution against the Shah, continues to confuse many observers as to its true nature. 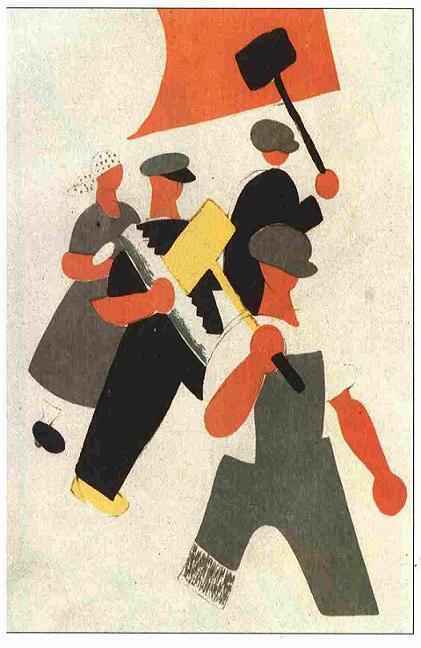 The intrinsic confusion lies precisely in the fact that it is considered as a post-revolutionary regime. You constantly hear the argument that whatever it is, and however bad and vicious it may be, it nevertheless is a regime which came out of a revolution against the Shah's dictatorship. Somehow, this mechanistic logic is then used to bestow a certain air of progressiveness upon a regime which for any observer with a little political sense is nothing but a semi-fascistic theocracy defending capitalism. Torab Saleth is a member of Workers Left Unity Iran and is also a member of the Advisory Editorial Board of the journal Critique. Here, Torab provides an analysis of the class nature of the Iranian Regime.